Today is Pi Day (3.14)! π Growing up there was a kid in my class that could recite π to something like 50 places. He would recite it all the time. Math was always my favorite subject in school. It was easy for me, but I never had the desire to memorize π. 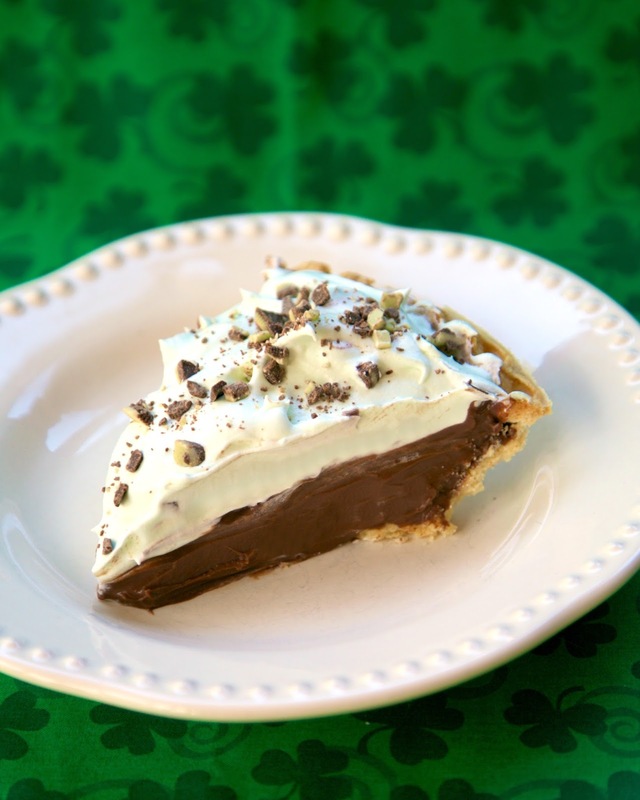 Today I'm sharing a different kind of Pi - a Mint Chocolate Cream Pie. This is a variation of my favorite pie recipe. I wanted to give it a St. Patrick's Day twist. It tasted amazing! I loved the hint of mint in the chocolate filling. I used Cool Whip for the topping, but you could make fresh whipped cream if you prefer. Either way, this pie is delicious! Measure out 2 tablespoons of mint chips. Set aside. Place remaining mint chocolate chips, butter, and vanilla extract in a 2-quart mixing bowl; set aside. In a medium saucepan away from heat, whisk together the sugar, cornstarch, cocoa and salt. Whisk in 1/4 cup of cold heavy cream until the mixture is smooth, with no lumps. Repeat with another 1/4 cup of the cream. Whisk in the egg yolks. Place the saucepan over medium heat, and gradually whisk in the remaining cream and milk. Bring to a boil, whisking constantly as the mixture thickens; boil for 1 minute. Remove the pan from the heat and pour the mixture over the reserved chocolate and butter. Whisk until the chocolate is melted and the mixture is smooth. Place plastic wrap or buttered parchment paper on the surface to prevent a skin from forming, and chill thoroughly. Stir together food coloring and Cool Whip. Transfer the cooled filling to the cooled, baked pie crust. Level the top with the back of a spoon or an offset spatula. Spoon Cool Whip on top. Top with reserved mint chocolate chips. Chill the pie until ready to serve. 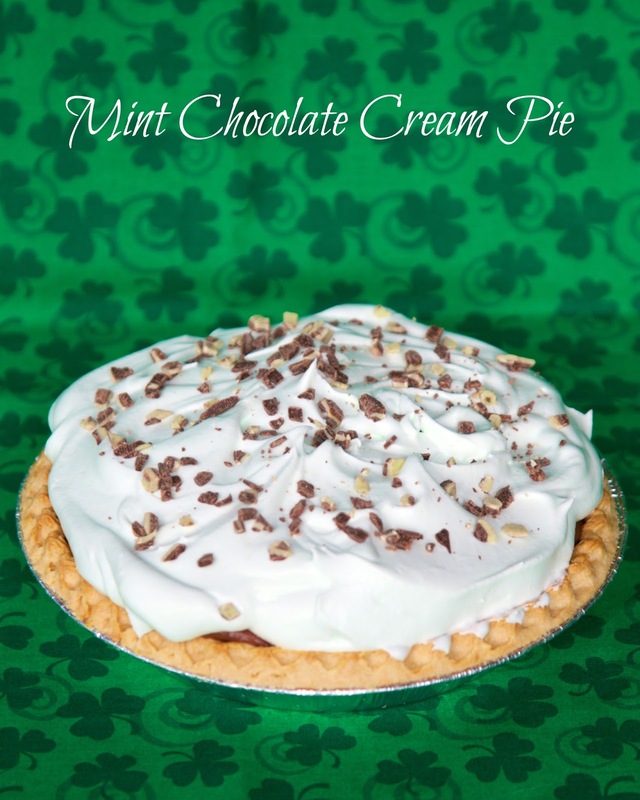 I know a lot of people don't like the mint-chocolate combination, but it's one of my FAVORITES. Pinning this one to try!